We’ve all had moments where we’ve felt totally unprepared. It’s never a good feeling to have no idea what you’re doing, and that goes for almost everything including dancing! Whether it’s at a wedding, a party, or even a work event, having even basic knowledge on how to dance will serve you very well. 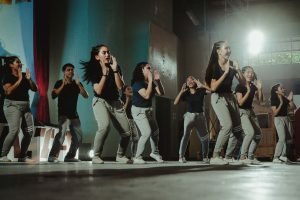 Not only will you avoid the embarrassment of showing off some outdated dance moves, you can use your talents to your advantage in many social situations. 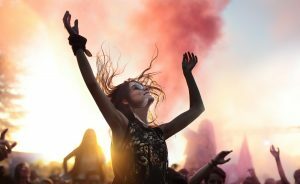 There are times where dancing is unavoidable, and I’ve come up with 8 where you are likely to find yourself in during the course of your lifetime. Weddings- A classic dance floor scenario- weddings will undoubtedly require dancing in some form or another. 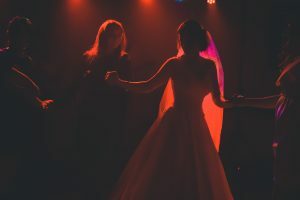 Whether you’re the bride, groom, family, or even a guest, it can never hurt you to have some tricks up your sleeves when the dance floor opens up! Birthday Parties- It doesn’t matter what type of birthday party you attend, more often than not there will be dancing. This is a great time to let loose and try out some dance moves that may be out of place at more formal events. Concerts- This one is obvious- when loud music is playing who doesn’t want to dance? Depending on the concert you’re attending, the styles of dance you’ll see will definitely vary. Pop, rock, jazz, electronic, the different genres of music all bring along different moves with them. It always helps to look up live shows of the artist you’re seeing before you go just to see how others typically dance to their music. Nights Out on the Town- When you’re going out with friends, it’s never fun to be left out of the action. Knowing how to dance will never fail to impress others who enjoy the nightlife scene. Not to mention, it could definitely give you a bit more confidence to approach that cute girl or guy on the dance floor! Fitness Class- Zumba, jazzercise, hip hop class, and pretty much every other fitness class out there will involve some type of dancing. While they are not expecting you to be experts by any means, it always helps to have a leg up on the competition and know a bit of the basics before diving in headfirst! YouTube and other online video sites are great resources for watching how it’s done when it comes to fitness dance classes. Work Functions- Depending on the field you work in, this one may not apply to you. But for those of you who attend company events, this one is pretty important! Socializing with your coworkers out of the office setting will definitely be easier if you aren’t looking stiff while everyone else is dancing. Brush up on a few casual dance moves and impress your coworkers with your newfound skills!